Felis Creations Blog | Genie Field Review – good, but not quite good enough. 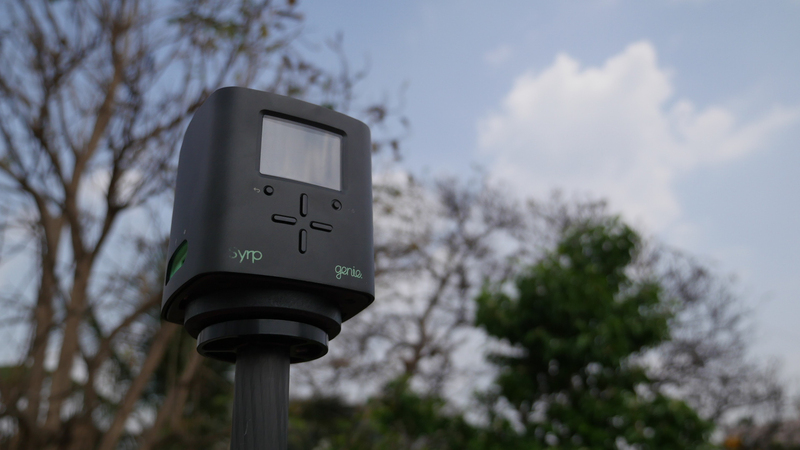 The team at Felis Creations recently took out the Syrp Genie on an assignment to Chitwan National park in Nepal. Over the past year or so a number of small sized motion-control units have found their way into the market – all the way from Edelkrone’s travel friendly sliders to the Radian by Alpine Labs – and we’ve been dying to see how much punch these seemingly wonder rigs actually pack. Right off the bat, infection having a tiny motion controlled motor in our kit made several tasks much easier than they used to be. Little conveniences such as slapping the Genie onto a tripod for a 360-degree pan or to record a quick panning timelapse made for a great first impression. In fact the ease of use made us want to add motion to all our timelapses, without worrying about complicated rigging or setup time. But push a little further, and you begin to realize why a Genie can never replace a Cineslider. We were able to test out the linear motion setup in various orientations with a manual 4’ Rhino Slider, and although the setup worked without much head scratching, it was no match for the precision and performance that we were used to. All said and done, replacing a belt and pulley system with a rope tied to either end of your slider makes the whole system rather crude – on occasion we noticed some jerky motion while doing our slides. That apart, even though the Genie is supposed to be able to handle relatively heavy cameras it refused to take the load of a 5D with the slider mounted vertically. Another rigging orientation that it seemed to struggle in was when we mounted it horizontally using a ball head for a tilt up timelapse. In conclusion, a small sized motion control motor is a great addition to any kit, but most such products –the Genie included – have limitations, and need more in terms of testing and debugging. We have always been great fans of the Kessler Cineslider, and using this low-end replacement solution has only made us appreciate that heavy piece of gear even more! Extremely quick learning curve and easy to use in the field. Easy interface with buttons provided on the body (but leaves you feeling limited compared to any basic controller). Provides an edge with the option of adding motion control to pans without heavy gear. Fast, easy setup for adding simple motion to timelapses. Gives you the option of doing slider moves even with a light manual slider, or any other DIY rigging for that matter. Performance of linear motion setup leaves one wanting more. The Genie, due to its tall cylindrical design, finds it hard to take loads when rigged up in odd orientations such as for tilt motion and for vertical slider moves. The author of this post feels in retrospect that he has been too harsh in reviewing the Genie. Further, he feels that his unfettered love for the Kessler Cineslider distorted the fairness of his review, and he should have shown greater appreciation for the fact, that for its size and ease of use the Genie really is quite amazing. In fact, rumours have been heard at the offices of Felis that the author of this very review admitted that for all its faults – after having experienced the convenience of having a Genie handy – he wouldn’t really like to travel without it anymore!